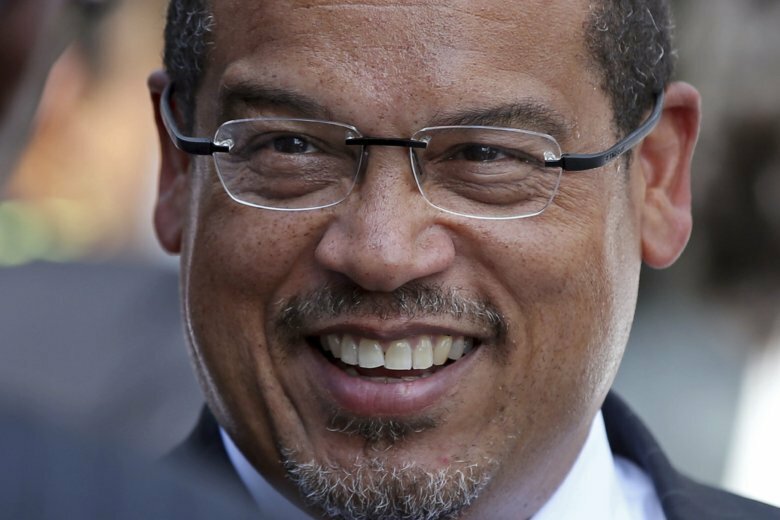 MINNEAPOLIS (AP) — The Minneapolis Police Department said Wednesday that it won’t investigate domestic abuse allegations against Rep. Keith Ellison due to a conflict of interest. State Democratic officials asked Minneapolis police to conduct an investigation after an attorney with links to the party found an ex-girlfriend’s claims unsubstantiated. Minneapolis police said they won’t handle the matter due to a conflict, or the appearance of a conflict, and they are talking with other agencies to see where they can refer the case. The department didn’t elaborate on the conflict. An ex-girlfriend of Ellison, Karen Monahan, alleged in August that the Democratic congressman dragged her off a bed by her feet while screaming obscenities at her in 2016. Ellison, a deputy chairman of the Democratic National Committee who is now running for Minnesota attorney general, has denied the allegation. A draft report of an investigation requested by the state Democratic-Farmer-Labor Party found that Monahan’s claims were unsubstantiated . Since the report was leaked Monday, the DFL has said it wanted law enforcement to conduct an objective investigation. Minneapolis City Attorney Susan Segal already cited a conflict of interest, because Ellison’s son is on the City Council. She asked Dakota County Attorney James Backstrom to review the case. Backstrom said Tuesday that he would, but only if police investigated first . Ellison’s attorney, Carla Kjellberg, said in a statement Tuesday that law enforcement has no jurisdiction because Monahan never made a police report. Monahan’s attorney, Andrew Parker, has said Monahan would cooperate with any investigation. Ellison was first elected to his Minneapolis congressional district in 2006 and emerged as a leader among liberal Democrats, including co-chairing the Congressional Progressive Caucus. He and Monahan dated for several years but broke up before she accused him of physical abuse.